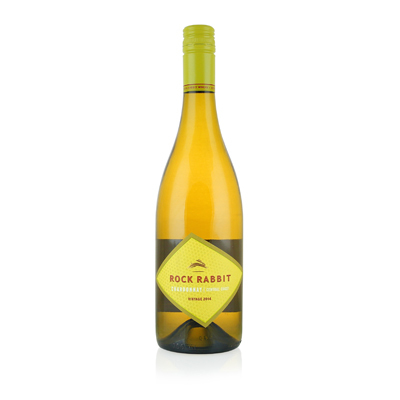 Rock Rabbit is made by Bronco Wine Company, one of the largest wineries in the world. It is still a family business, run and owned by the Franzia family. When Teresa Franzia planted her first vineyard in 1906, she predated the Gallo's vineyard by six years. Apparently there were no hard feelings between the families, though, as Ernest Gallo went on to marry Teresa's daughter, Amelia. The Franzia family survived Prohibition by selling grapes to Italian home winemakers in New York. When Prohibition ended, Teresa and her six children rebuilt their winery brick by brick, barrel by barrel, until it was completed in the late 1930s. Then World War II came along. After the war, they began selling their wine with the catchy advertising slogan, "Make friends with Franzia," which introduced a new generation to wine. Regardless of its size, Bronco still puts quality into the bottle. Over the years, we have been astonished at the value coming out of this operation, but somehow, they're able to do it. Our selection is a perfect example. Bronco owns vineyards up and down the state, so they are able to source fruit from a variety of vineyards to come up with a gem like this. These Chardonnay grapes came from the Central Coast, where the cool ocean breeze allows them to mature slowly, creating complexity, flavor and nuance to spare.